FACTOID! He’s the most underrated axemonger ever! 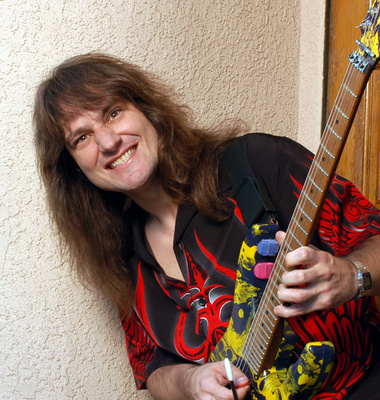 Texan guitarist Ron Jarzombek is everything a metal guitarist should be, except incredibly famous. His band, Watchtower, had chops like very few other musicians on the metal scene of the day – but they were several years ahead of their time. Back in the 1980s, even a slightly unorthodox album such as Metallica’s …And Justice For All caused brows to furrow. What chance did Watchtower have, when their Energetic Disassembly and Control And Resistance albums sounded as if they’d landed from another planet?